It seems that there were at least three masters by this same name, and Jamgön Kongtrül considers him to be the middle one from among the three Vajrasanapa. Sarah Harding considers four successors to that title: Punykaragupta, Rarnakaragupra, Abhayakaragupta, and tsa mi lo tsA ba. 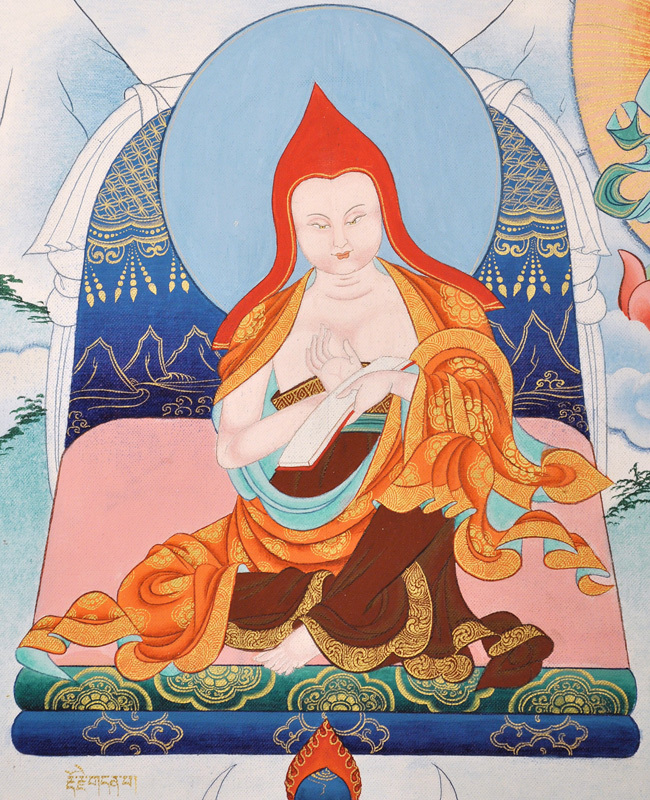 In Jamgön Kongtrül’s lineage supplication (Garland of Udumvara), two Vajrasana are praised: the one called Great Dorje Denpa is presumably Punyakaragupta and in the next supplication Abhayakaragupta is named specifically. Reputedly a student of the Mahapandita Nāropa, Vajrasanapa (Dorjé Denpa in tibetan) was the first main Indian teacher of the Tibetan scholar and yogin Khedrup Khyungpo Naljor. He taught him many teachings including the Vinaya code of discipline, root sutras and shastras. Khyungpo Naljor also received from him in Bodhgaya the empowerments in the single great mandala of the Five Tantric Deities (rgyud sde lha nga) based on the Ocean of Gems Explanation Root Tantra.